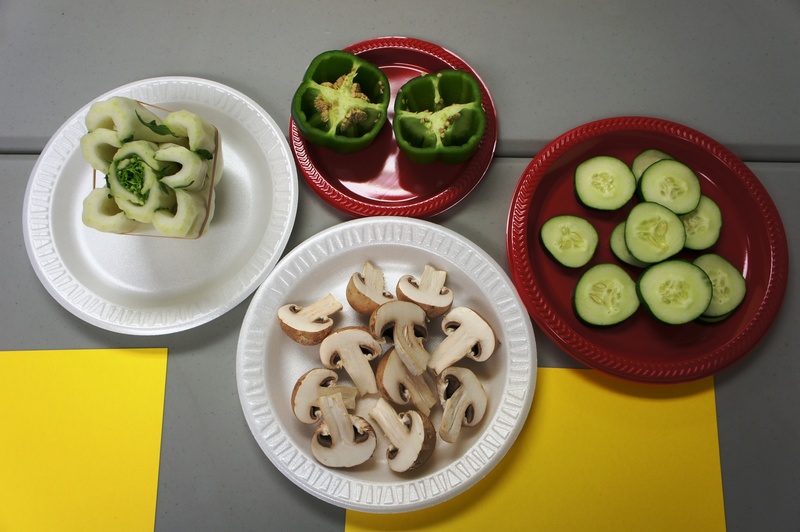 Sticking with the theme of worms and gardens, the school age club focused on vegetables, seeds, and worms! 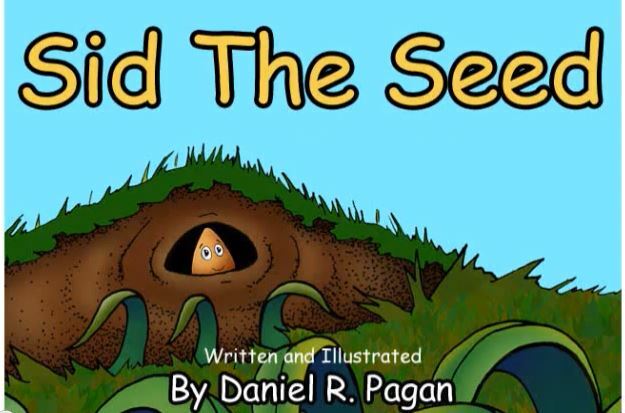 Sid the Seed: To get things started I showed this 5-minute story called “Sid the Seed” by Daniel R. Pagan from Ready Teacher. The video is very cute and fun- the group really enjoyed it! The story is about a seed who doesn’t want to “grow up” but is encouraged by friends to blossom! Vegetable Stamping: I had recently seen some pictures of vegetables prints and thought this would be a great week to try it out! Although I wanted to stick with root vegetables to go with the theme, some of the veggies I used were not root ones (but they had the best prints). As a group we discussed root vegetables and examined the seeds in the veggies on the tables. Pick vegetables and cut in half. I used Bok Choy (has a beautiful flower print), Mushrooms (I know they are a fungus but their print turned out really well), Peppers, and Cucumbers. 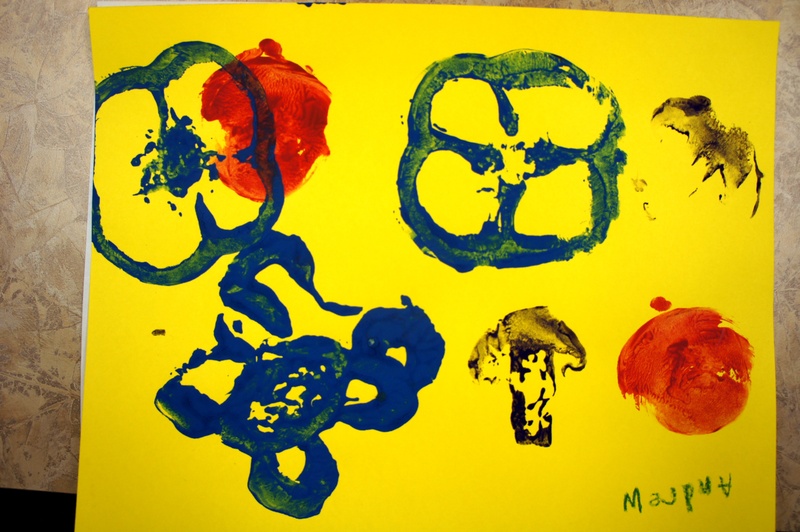 Use little paint when stamping or it will just turn out to be a blob of paint! 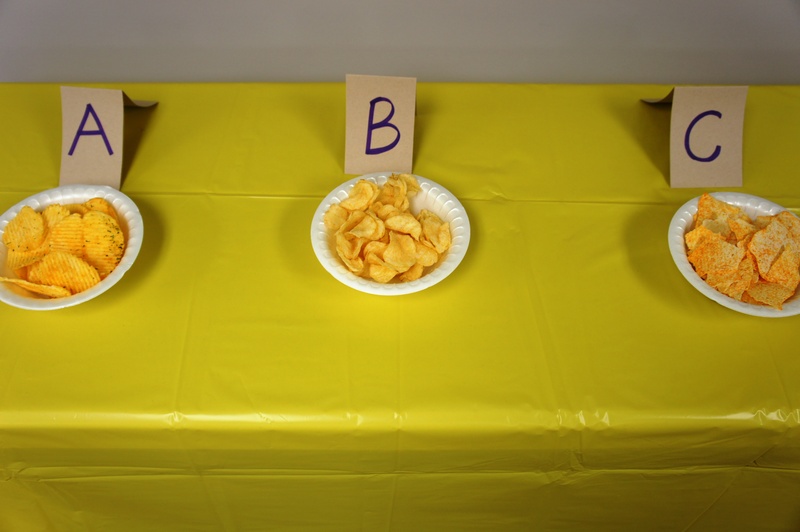 Potato Chip Testing: This was such a hit with the kids. 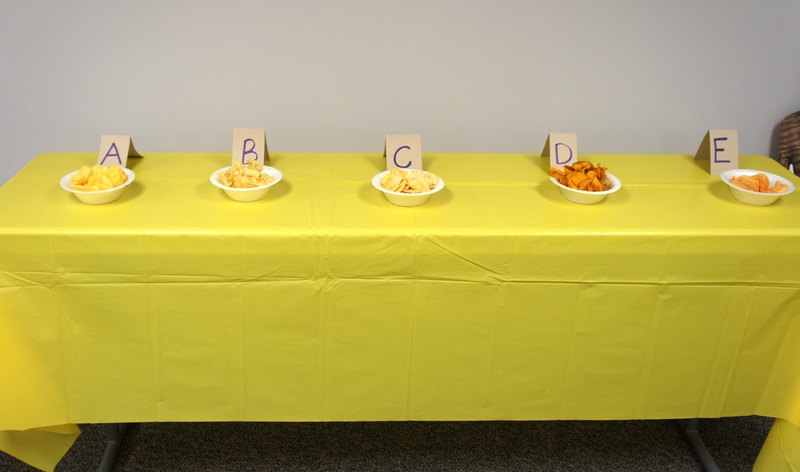 I bought 5 different kinds of chips and labeled them in bowls, A, B, C, D, and E. Each child got a mini survey that asked questions like what their favorite was and what flavor each one was. They had so much fun guessing and tasting! I got some crazy flavors too- sweet potato, salt & vinegar, and pizza. At the end we tallied the surveys and I revealed the chips. The winning (favorite) chip was then shared with the group to enjoy! June 18, 2013 in School Age Programs.